from bestselling author Anita Shreve. When an American woman, Stella Bain, is found suffering from severe shell shock in an exclusive garden in London, surgeon August Bridge and his wife selflessly agree to take her in. A gesture of goodwill turns into something more as Bridge quickly develops a clinical interest in his house guest. Stella had been working as a nurse's aide near the front, but she can't remember anything prior to four months earlier when she was found wounded on a French battlefield. In a narrative that takes us from London to America and back again, Shreve has created an engrossing and wrenching tale about love and the meaning of memory, set against the haunting backdrop of a war that destroyed an entire generation. In the novel, Stella Bain, author Anita Shreve takes us back into the turbulence of World War I, the declining Edwardian era, and the gender restrictions imposed on women. This absorbing story is about a young woman who worked as an ambulance driver in France. She is discovered shell-shocked and suffering from amnesia; all she can tell anyone is that her name is Stella Bain. But is it? Day by day, as Stella begins to heal, tiny recollections of memories, of locations, of names, flash into her mind. Determined to answer the questions of her past, she is compelled to unravel the secrets of her past, who she really is, and where she came from. What follows is a compelling, engrossing mystery. The novel embraces strong topics such as post-traumatic stress syndrome, especially as it affected women at the time, the rights of women and societal expectations and norms, while delivering a poignant love story of pain and loss and healing. 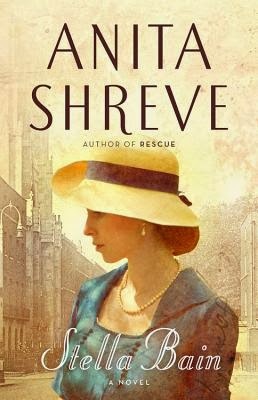 Anita Shreve excels at drilling down deep into the human spirit, of unleashing great emotion, and all while telling a riveting story. This is very much a character driven novel, but it also has a touching mystery at its roots that definitely keeps the reader turning the pages. I highly recommend this novel for anyone wishing to cozy up to a deep, insightful story of ultimate triumph.